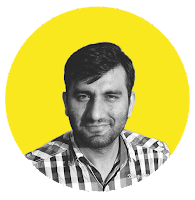 Irfan Ahmad is the founder and editor of Digital Information World (DIW). He also co-founded visualistan.com. Irfan actively share interesting infographics on Pinterest, he's also active on Twitter as @irfanahmad1989 and GooglePlus as +irfanahmad . He occasionally post tech and news videos on YouTube too. Feel free to contact him for advertising, sponsored content, guest blogging and editing queries. Read more about him, here.